Somewhere in the Pacific Ocean between Fiji and The Solomon Islands is a small island nation called Vanuatu. I’ve been there. Twice. Our plane landed on Vanuatu long enough to refuel, as it wasn’t big enough to make the flight all the way from Fiji to The Solomon Islands (or back again) without stopping part way between. That glorious trip was a long time ago now, but the beauty of those islands south of the equator will stay with me always. 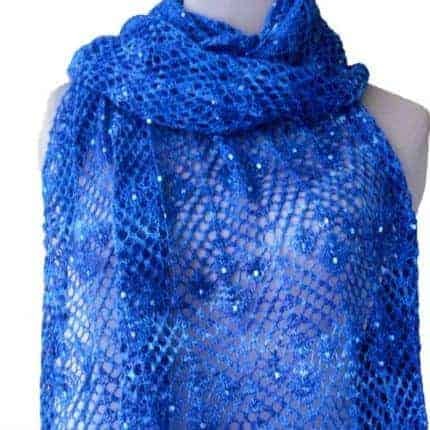 What does all this have to do with anything, you ask? It’s color. 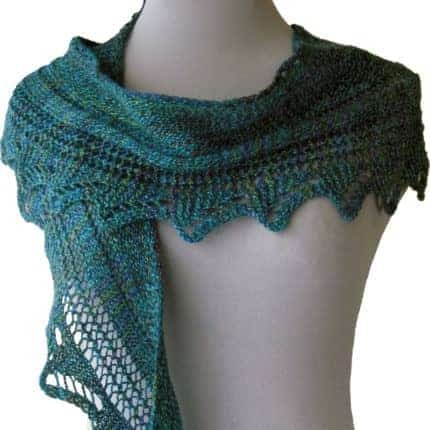 The bright turquoise and dark sand of the yarn I used for my model remind me of those lazy days in the southern hemisphere, as well as the waters, the islands, and people who live there. 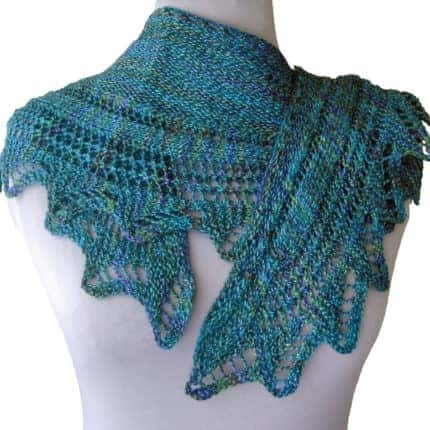 Rusalka is a triangular shawl knit with about 175 yards each of five shades of yarn. 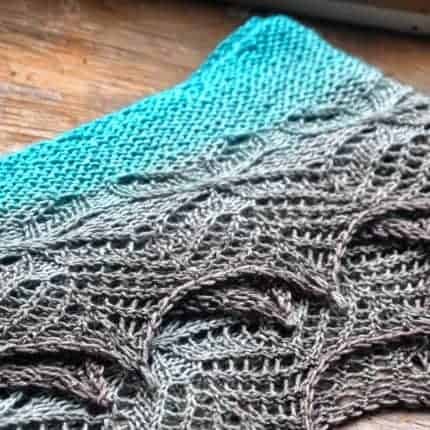 Knitting begins at the top center, and includes a variety of lace stitches, a little bit of garter stitch, and a bunch of stripes using those five colors. If you know me at all by now you know that flowers are a huge, huge part of my life. Everywhere I go, everything I do I look for flowers and at flowers, and want to immerse myself in their loveliness. If I lived in the U.K. in the early part of the 20th century no doubt my cottage would have been filled with overstuffed furniture in a wild array of floral chintz patterns. 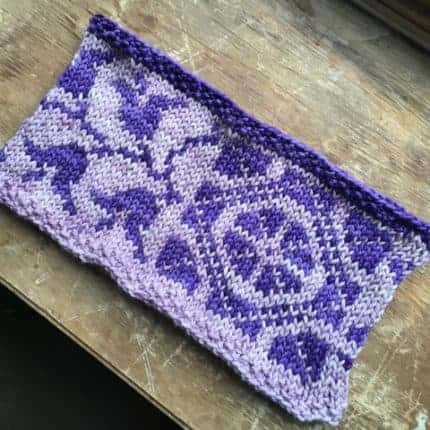 Late last year as I was thumbing through some well-loved stitch dictionaries, I stumbled upon a lovely little Estonian number that was knit on the bias and had two different Estonian flower stitches: clusters and double yarn overs. Though I was smitten, it wasn’t nearly enough. 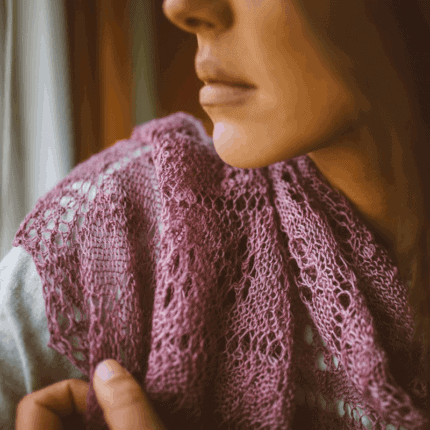 I also happen to love knitting nupps, and so added… er… a few of them here. Or so. 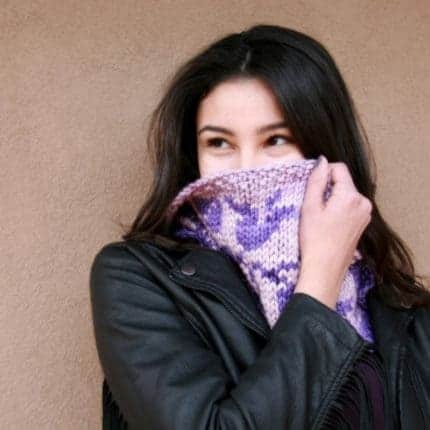 Back in 2013, I designed a cowl using the stitch that I used for this sweater. I thought the stitch looked rather heraldic, and so I thought I’d name it after Lancelot’s mother. Turns out that was easier said than done. While some of the stories in the Authurian legends are very clear cut, apparently Lancelot’s parentage doesn’t fall into that category. I found four different names associated with Lancelot’s mother: Helsin, Clarine, Helaine, and Elaine. 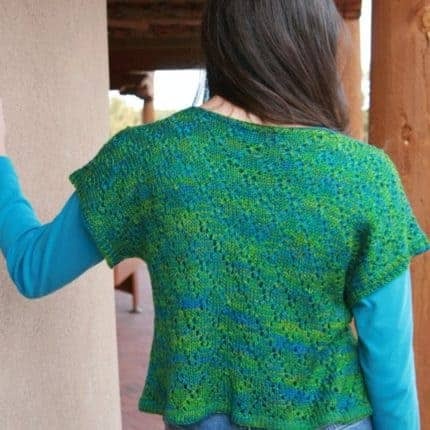 I used Clarine for the cowl, and chose Helaine for this little sweater. In retrospect, perhaps I lucked out as I had plenty of names to choose from. 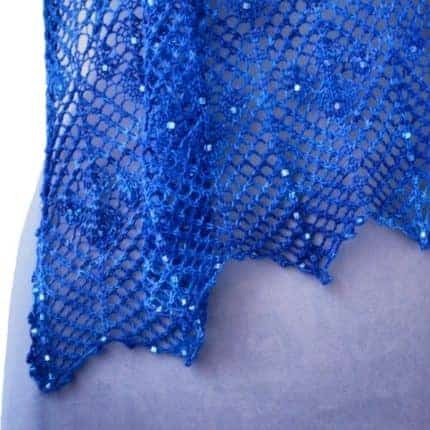 Helaine has details that Lancelot’s mother, regardless of her name, would have loved: it starts with a folded hem, it’s worked straight up from hem to armholes without shaping, a handful of stitches are added for the cute little sleeves, it has a square neckline, and it has proper clasps to hold it together in front. Speaking of Clarine (I was, remember?, just two paragraphs up), buy Helaine *and* Clarine, and save! 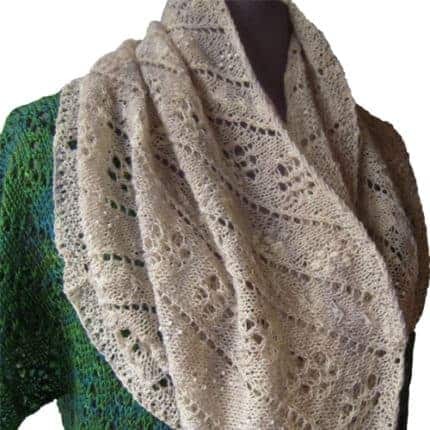 Get both designs for $10 on Ravelry with the coupon code sirlancelot. Sale runs through midnight Pacific time on Saturday, April 8, 2017. Previous purchases of Clarine count toward the sale. 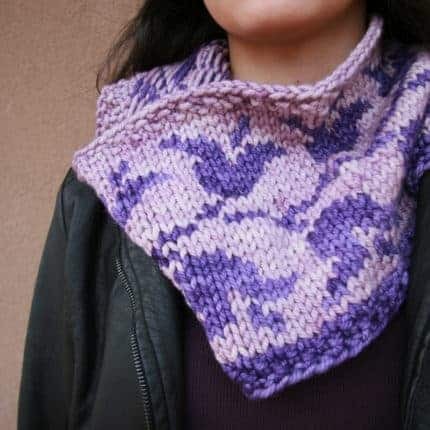 Like me, the stitch patterns in this cowl are more Swedish than anything else. 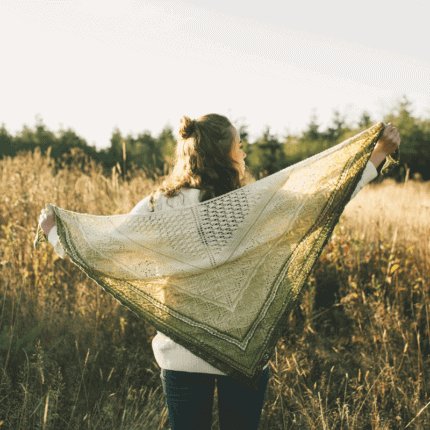 I fell in love with the tulip border the moment I first saw it, and the sundial… Well, let’s just say that sundials and I go way back. 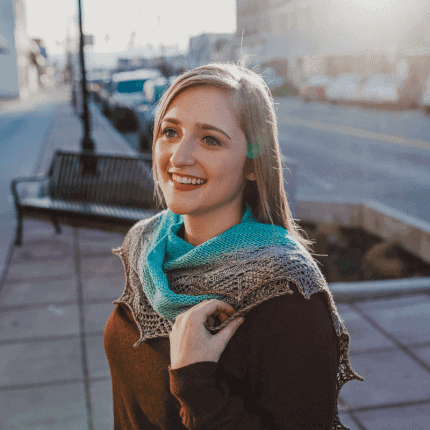 Combine these two stitches with Anzula Burly, a super soft bulky yarn, and while you’re waiting for spring to fulfill its promise this cowl will keep you cozy and warm, regardless of what winter throws at you. 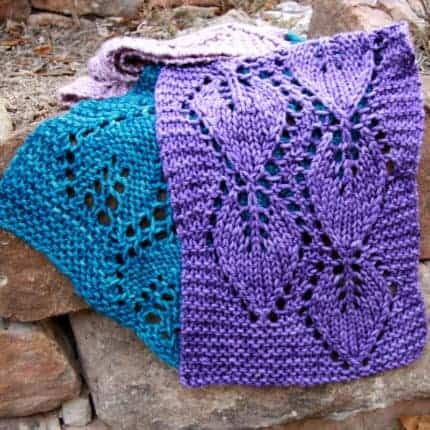 Yarn chicken is a game we knitters play, either on purpose or accidentally, whenever we’re almost out of yarn but there is more to be knit. 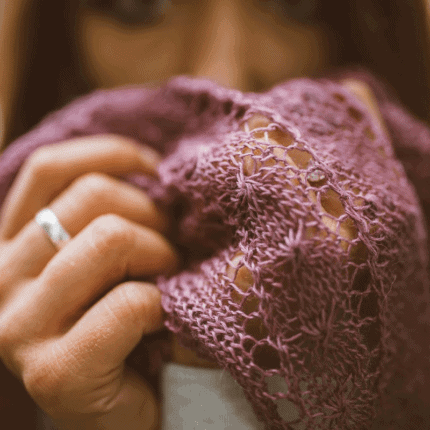 Will we make it to the end before running out of yarn? That’s the sixty-four dollar question. 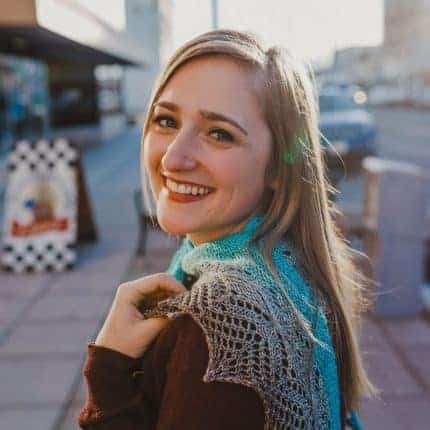 I played three games of yarn chicken (two of which I totally won) while working on this scarf. 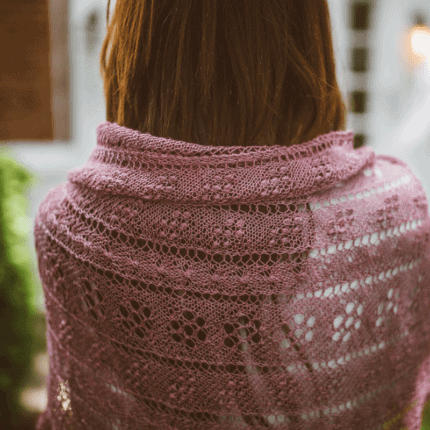 All yarn hanks are not created equal, regardless of how hard the yarn company tries, and all knitters’ tension is a little different, even when we all remember to do our gauge swatches. 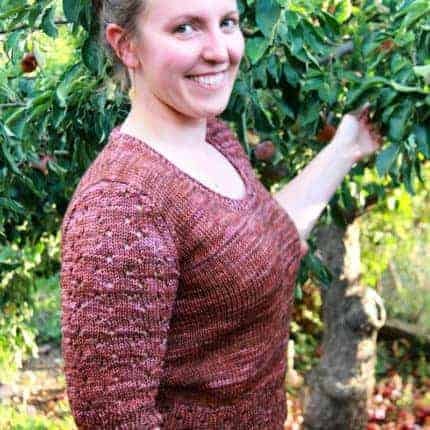 With all that in mind, I included options and notes with this design so that you can maximize the yarn you have, and win your own games of yarn chicken. 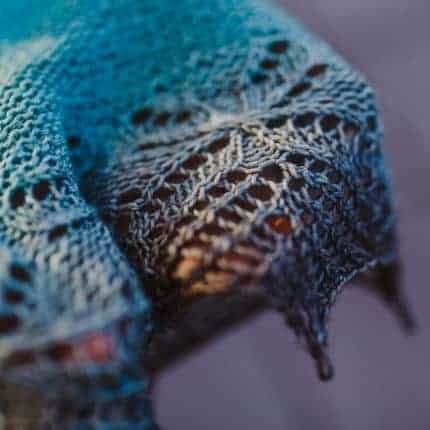 Estonian knitters have developed some of the most beautiful lace stitches I’ve seen. When I saw these flower stitches grouped this way I was captivated. 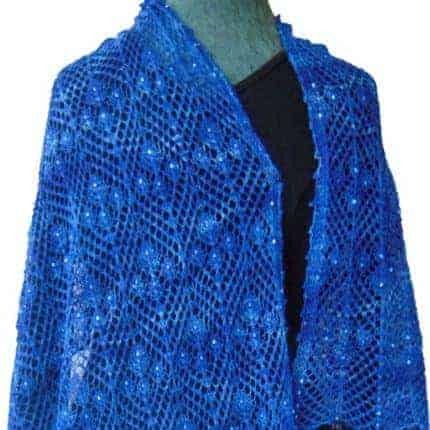 I had to fiddle with it a bit, I almost always do, but it didn’t take long at all to decide that this design would be a cowl, and that in addition to the lovely Estonian stitches, beads were essential. The only hard part was naming it. Until today. 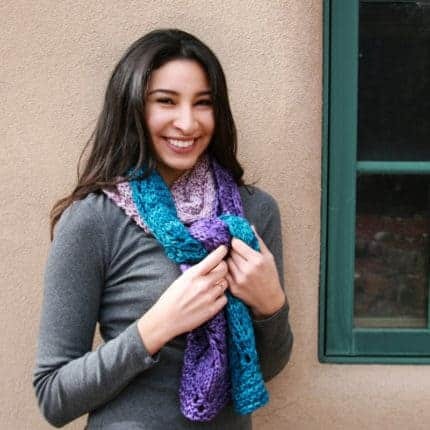 I was meandering through my photos, when I saw that I’d put this cowl on last week’s snow for a quick photo shoot. 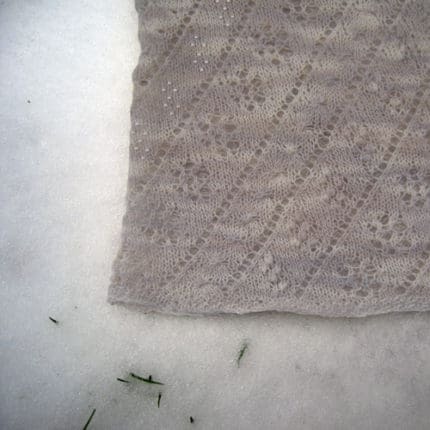 Flowers on the snow… no, Snow Flowers! 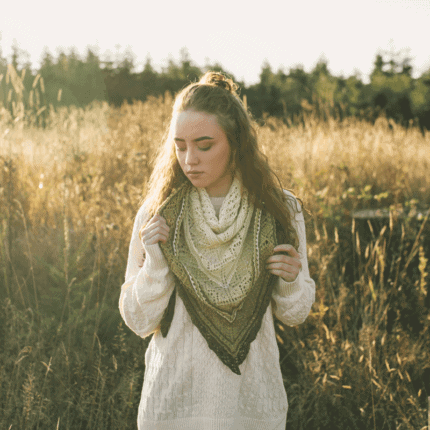 Cowl is knit in the round with a few rows of seed stitch at top and bottom to help prevent curling. 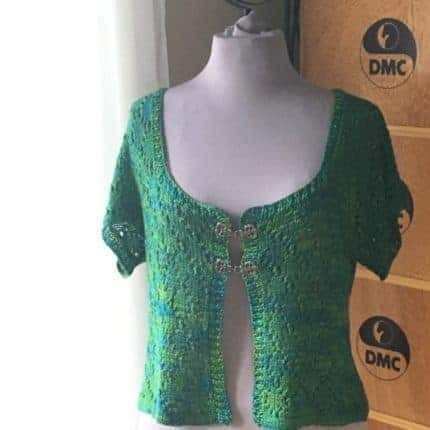 Like Orpheus’ lyre, this little sweater has its eyes on the heavens… or, er, well, it has a lovely little eyelet rib, and starry little eyelets that sprinkle the sleeves. Knit flat from the bottom up there are notes if you prefer to knit in the round. 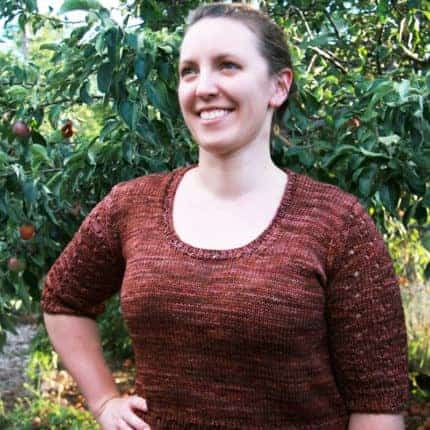 Sleeves are also knit from the bottom up, or not… if you prefer top down and seamless. 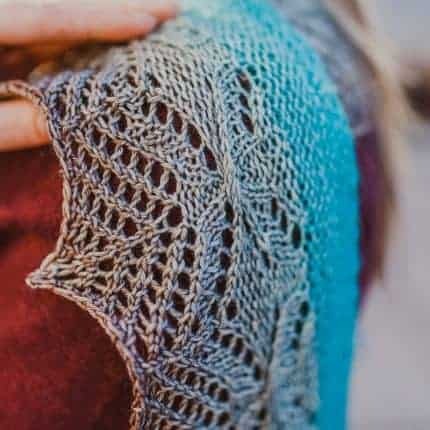 Available as part of a kit through Black Trillium Fibres. Supplies are limited. 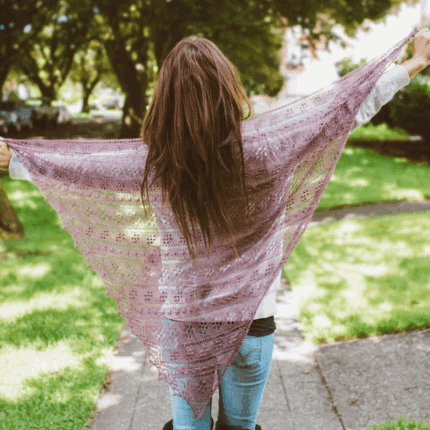 KAL runs September 1 through October 31, 2016. 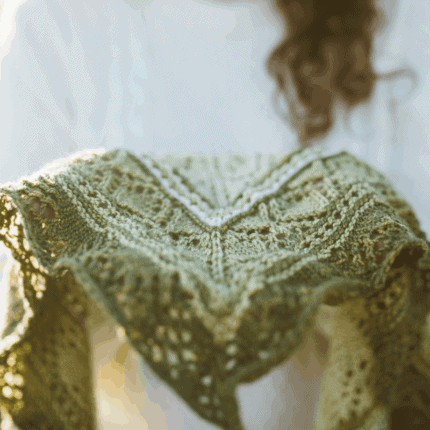 Those who finish before the end of the KAL will be entered to win a prize. It seems that it’s been decades since I’ve gone SCUBA diving. Oh wait. It nearly has been! 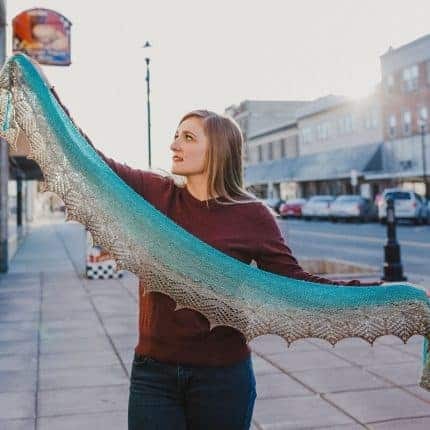 Well, simply because I haven’t been in the sea for a long time doesn’t mean that I’ve stopped thinking about it, or designing sea-themed knits like this crescent shawl, Great White. 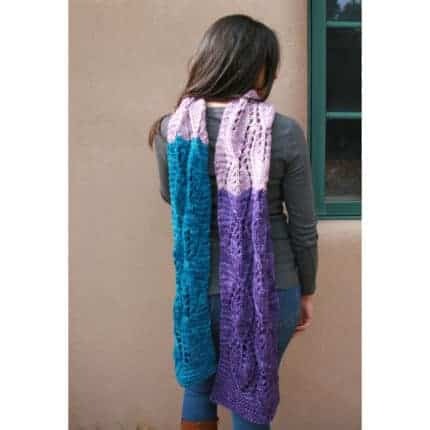 Even if being in the ocean when there’s a shark in the water nearby doesn’t make your heart sing, you can still knit up this lovely crescent scarf and be close to a shark… but not too close.